A perfect frog imitation with loud rattles and a very lifelike action. A fantastic small hopper imitation with a superb swimming action. A superb surface walker with an irresistible frog like kicking action. 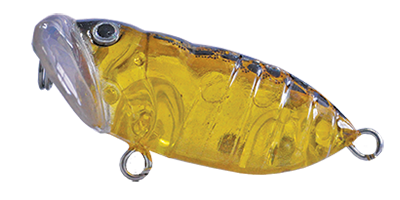 Deadly on Murray Cod, Bass and large Trout. 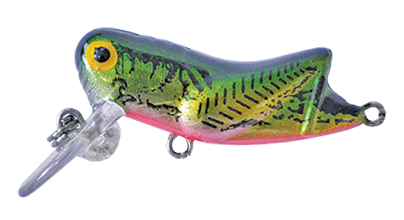 A beautiful floating baitfish imitation with a fantastic rolling action. Ideal for Bream, Flathead, Salmon and Trout. Looks and swims just like a real Yabby!. Includes rattle attractors. Fantastic on Bream, Bass, Redfin & Trout. A miniature version of the Skeeta. Fantastic Cicada imitation. Deadly on Bream, Bass, Estuary Perch and Trout.